SUNRISE, Fla. (AP) — An alligator found in a South Florida neighborhood with an arrow in its side has been euthanized. Neighbors in the Sunrise area called police after seeing the gator. State-licensed trapper Bill Gilmartin says he got a call about the animal early Wednesday from the Florida Fish and Wildlife Conservation Commission. When Gilmartin arrived, he says, there were also two police officers in the street near the gator. Gilmartin says the alligator was trapped and euthanized because it posed a danger. Gilmartin says the closest canal was several blocks away. It's not clear how the gator was injured. 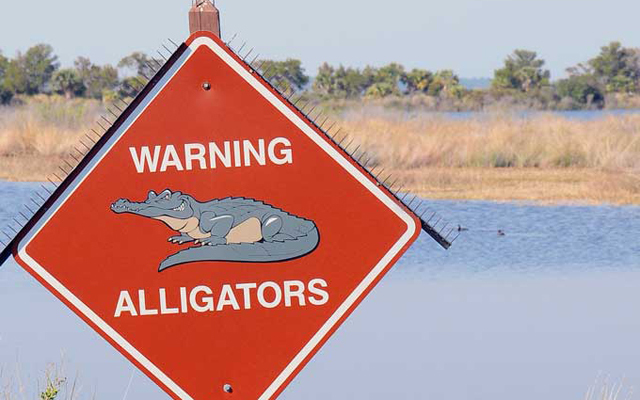 It's a felony in Florida to kill or injure an alligator.